Profitability and Value Analysis is a solution designed to enable businesses to better understand the profitability of their products, services, channels and customers. WHAT IS PROFITABILITY AND VALUE ANALYSIS? Many businesses aren’t truly aware of where their profitability lies – organisations require the crucial knowledge of their inherent product and service value to optimise their ROI and overall value. Profitability and Value Analysis provides essential information for driving marketing strategy, whether it’s the acquisition of new customers, the selective attrition of existing ones, the retention of others or simply maximising the future value of all of them. 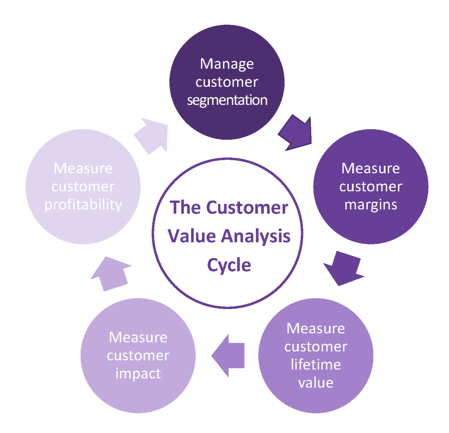 The Customer Value Analysis Cycle (see image) demonstrates how all of these factors play into profitability, and then ultimately how they tie back into one another. Why do you want to do this analysis and how will you use the insights? What financial figures drive your business decisions? What level is the profit figure (product, channel or customer)? Are you focusing on sales, net profit or gross profit? Profitability and Value Analysis has a number of far-reaching benefits, primarily in helping you gain a better understanding of your customer, products, service and channel in relation to each other. 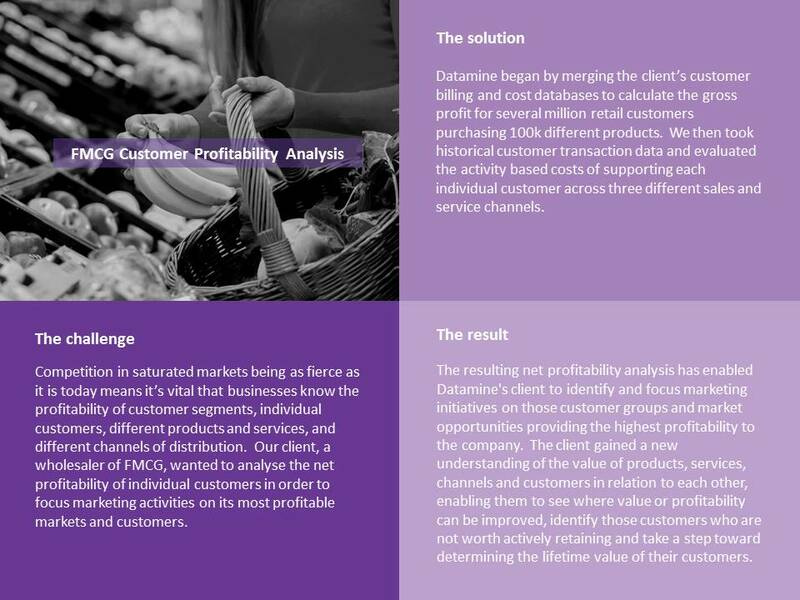 In many cases, unrealised value or profit opportunities are highlighted by the analysis, giving businesses the knowledge they need to make changes that will increase overall revenue. Insurance: The likelihood of a policy holder to claim can be predicted - Fewer claims means higher profits. Retail: What types of products are customers buying and when are they buying them? Customers who only visit your store to buy loss leading discounted items may not be customers you want to actively go after. Manufacturing & Marketing: Considering all relevant business costs per SKU allows marketers to set promotional pricing that maintains acceptable margins. 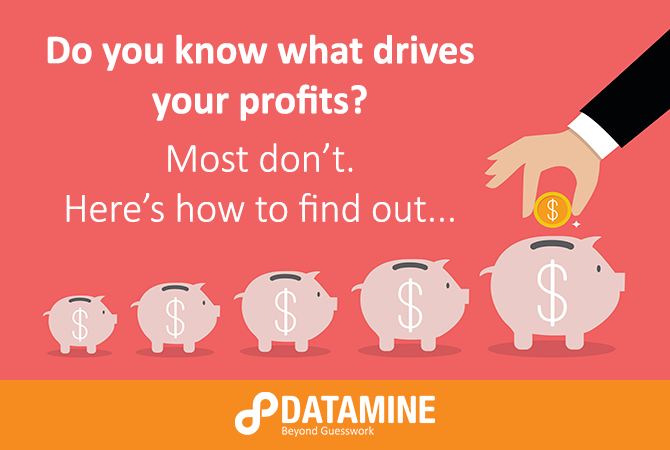 Interested in learning more about how Datamine could help you with profitability and value analysis? Fill out the form below to schedule a call with us.